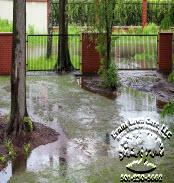 Evans Lawn Care LLC updated its range of landscape drainage services for clients in Conway. The drainage specialists provide quality lawn and landscape services for residential, commercial and corporate clients. Evans Lawn Care LLC, a complete professional landscaping company based in Conway, Arkansas, launched an updated range of landscape drainage services for clients in Conway. The company has over 11 years of experience providing landscaping solutions, custom landscape designs, installations, concrete paver walkways, patios and driveways, retaining walls and lawn installations to both commercial and residential clients. More information can be found at http://evanslawncarellc.net/landscaping-drainage-solutions.html. Water is always going to find the path of least resistance. Unfortunately, this can cause many issues such as foundation damage and flooding, unusable lawn space, root rot, and many other issues that no one is prepared or wants to deal with. In addition, improper drainage can cause problems all year long. In the warm months, it can cause lawn areas to be over-saturated with water, making it difficult to maintain and also killing plants and shrubs. In the winter, it can cause sidewalks and parking lots to ice over when the temperatures fluctuate after snow has accumulated. Evans Lawn Care LLC offers a variety of landscaping drainage services, including new installation, addition to existing irrigation, maintenance and repair, CCTV survey, and many more. Their drainage specialists can construct the right drainage system to resolve the problems throughout their clients’ property, in front, side, and back yards that flood after it rains or snows. Different types of drainage systems can solve these problems. As each situation requires a tailored solution, Evans Lawn Care LLC has the equipment and experience to come up with the correct solution for each type of drainage problem. Started more than a decade ago, Evans Lawn Care LLC has earned a reputation for quality work and reasonable rates in both the commercial and residential sectors. Their experienced and skilled professionals can do the job quickly, safely, and with the expertise clients need and deserve. Interested parties can find more by visiting the above-mentioned website or calling +1-501-230-5662.